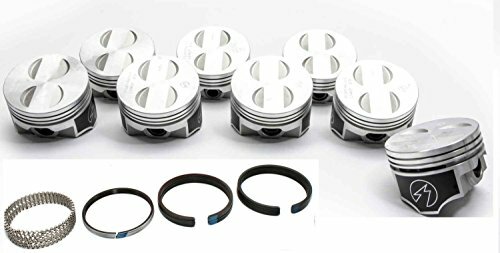 Shopleadly applies the smartest e-commerce technology to make the consumer shopping experience easy, efficient and fun: find the ideal price for Trw Pistons at the ideal store. 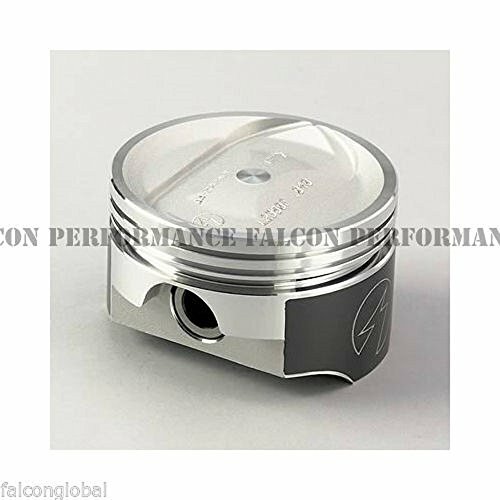 Compare prices and explore Trw Pistons at all the leading online stores in United States. Find the cheapest & discount price. This Listing is for (8) L2399NF .030 Power Forged Chevrolet 454 V-8 - 4.280" bore (at +.030") Domed head .095" high. DurOshield skirt coated piston. Special Hi-performance. 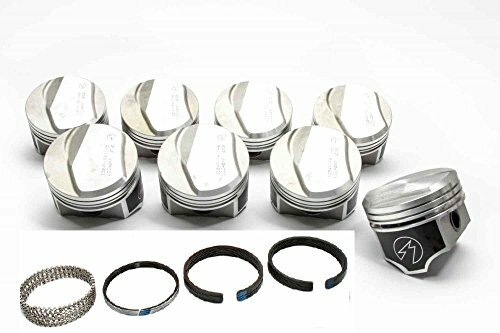 Speed Pro/TRW Ford 289 302 5.0 Forged Coated Flat Top Pistons+MOLY Rings Kit +30 (4.030"
Set (8) Speed Pro Power Forged Coated Skirt Pistons+Moly Rings for Ford 1965-68 LD Truck & 1963-68 Car 289 w/4-barrel carburetor 289 engines. Also fits, 1973-1984 302 Car & Truck engines. 4.030" bore (at +.030"). Flat head w/4-valve reliefs. DurOshield skirt coated piston. Pin diameter: .912"; pins included. Press fit pins only. 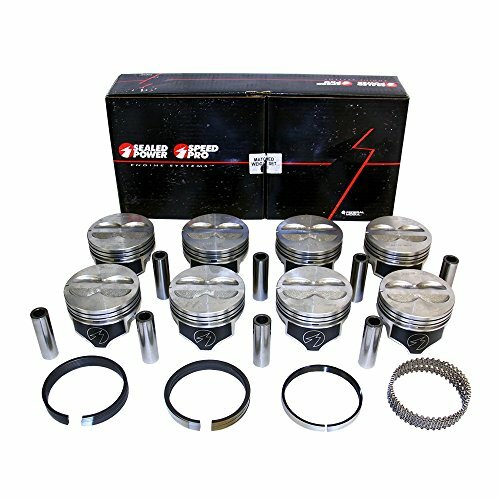 Product Specs: Set of 2 Pistons, rings, and pins. 3-3/16" bore, standard. Oversized +.050. For Harley-Davidson 1000cc Ironhead Sportsters 1972-1985. 8:1 Low Compression. 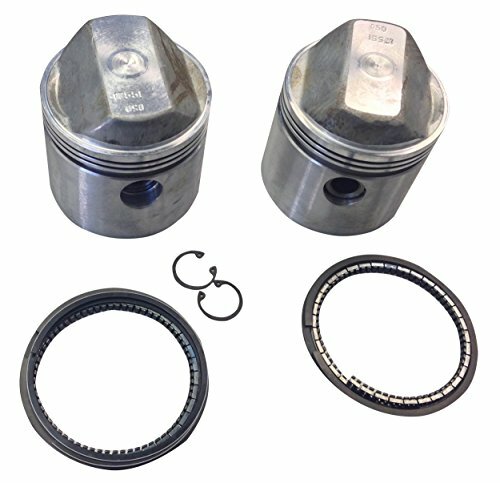 Replacement pistons are made to interchange perfectly with original equipment, and use stock type rings. 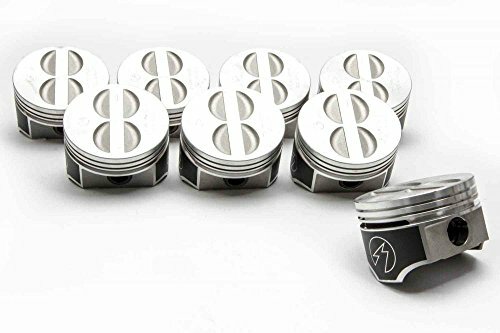 AMC 401 Forged Pistons Speed Pro L2380NF +30 .170" Dish Bore: 4.195" Stroke: 3.680" .170" Dish Ring Grooves: 5/64" 5/64" 3/16" Press Fit *Rings Not Included. Ordering this item will require a signature confirmation upon delivery. Please ship to an address where a signature can be obtained from UPS. 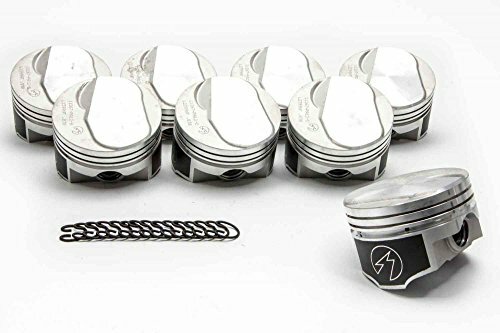 Chevrolet SB SBC Chevy 400 Hypereutectic Flat Top 4VR Piston+MOLY Ring Kit 10.9:1 (4.165"
Set of (8) Speed Pro L2262F Pontiac 400 Flat Top 4 Valve Relief. Pontiac 400 - 4.120" bore (at STANDARD) Flat head w/4-valve reliefs. DurOshield skirt coated pistons ONLY. NO RINGS. Fits 1967 Car (USA); w/4-Bbl. carburetor & 1968-74 Car (USA); All 10.75:1 CR. 5/64" 5/64" 3/16" ring grooves Pin diameter; .980"; pins included For stock length rods. 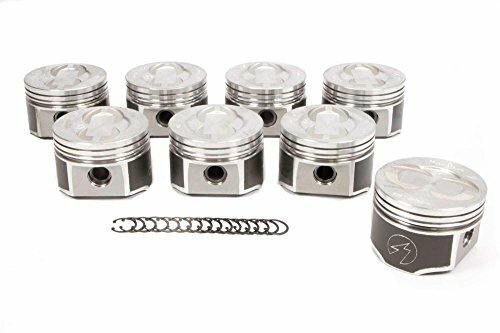 This listing is for (8) LW-2256F 60 Speed Pro TRW Forged Aluminum Light weight pistons in 4.060" over size bore. These pistons are made from extruded VMS-75 aluminum alloy that's forged under 3,000 tons of pressure to "near-net" shape. After that, they're machined to their final configuration. 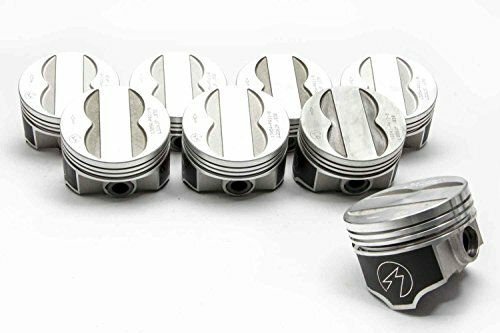 These pistons offer excellent strength and durability and are capable of taking the punishment that's dished out on the street and in competition. Flat Top Valve relief pistons. USES 1/16 in. x 1/16 in. x 3/16 in. ring package.Approximately 40 Grams lighter than L-2256F version. Customers who bought Trw Pistons also bought Tour Kids Bike, Purse Childrens Animal Purses, Design Greek Vase - you may also be interested in these popular shopping ideas.